With Autism Spectrum Disorders (ASD) affecting approximately one in every eighty-eight kids (as of 2012) chances are you, your family, your students, and/or friends are confronted with this broad spectrum of challenging circumstances. Autism—Including Asperger’s Syndrome—is life altering for the individuals and those around them. The following books are great resources to discover the truth of how lives touched by ASD handle difficult situations. This book was almost too close to home for me—I wanted to cheer and cry for main character, Jason, the whole way through. Jason is fully developed and pulls at the reader’s heartstrings. I was hoping for an “and everyone lived happily ever after” ending, but the bittersweet realistic wrap Ms. Baskin gave Jason’s story is fabulous. Perfect for fans of BBC’s “Sherlock” TV series, main character, Ted (who has Asperger’s Syndrome), tries to solve how his teen cousin disappears mid-ride on the famous London Ferris wheel. Ted is articulate and quirky, and displays some of the classic behaviors of ASD. This quiet novel showcases the working of Caitlin’s mind after a family tragedy. The narrative is so tight, you feel like your right in the room with her. Deep and touching, this is enlightened reading at its best. 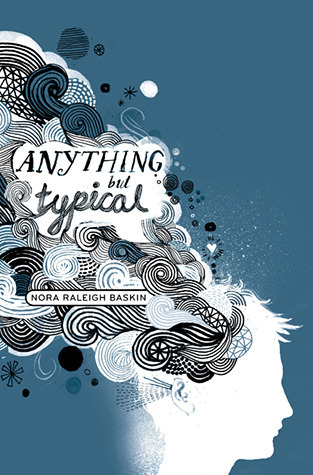 This Newbery Honor book is probably the most widely recognized in the category. Readers will sympathize and cheer during Catherine’s journey to understand and accept her little brother, David, who is autistic. Sibling issues and family dynamics are at the core, so every reader can relate. Eleven year old “Elsie” deals with the resurfacing memories of herself and her younger brother being kidnapped by their own mother. This chilling emotional read offers insight into the stress siblings—and parents—are faced with when dealing with a mostly non-verbal child. Written by a thirteen-year-old on the spectrum, this is a fun read for adults as well as upper middle grade readers. Honest and humorous, Luke is a fabulous narrator. You’ll feel like you know him—and his family—by the time you finish the book. This one is for older teens through adults, but worth the read for those not bothered by profanity. Haddon’s experience with autistic students is obvious. The reader gets in the head of first person POV Christopher before the writing begins—the first chapter is “2” and the chapters continue in increments of prime numbers. It’s a great mystery/psychological read. 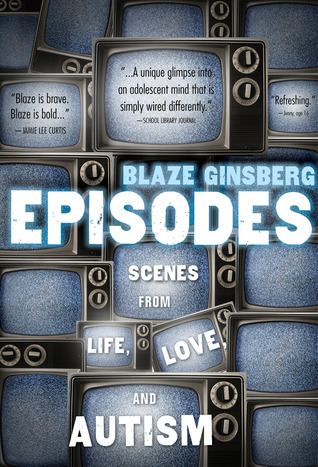 Reader-friendly, teenager Ginsberg formatted his autobiography like an IMBD entry, complete with cast of characters for each section. His style is lighthearted and engaging. I felt like I could walk up to him and start talking about Sesame Street or something when I finished. This is the modern classic of all autobiographies. 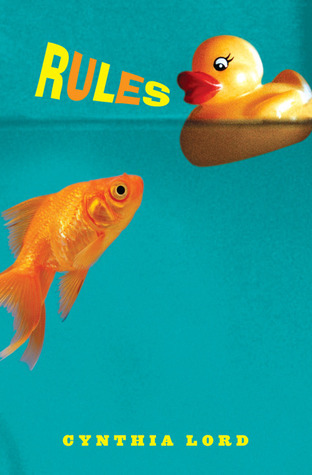 Though technically an “adult” book, it is easily accessible to teen readers. Amazing insight and it could be a great help to those preparing to leave the nest for the first time—whether on the spectrum or not. I’m sure 2013 will produce a new crop of ASD books, and I look forward to reading them. Do you love any books about people on the spectrum you would like to include on a “best of” list? My TBR pile is huge, but there is always room for more. Carrie Cox is a writer and homeschooling mother of three in Mobile, Alabama, and her eldest son is autistic. Previously, the California native dabbled in substitute teaching and ran the children’s department at the local bookstore. You may follow her literary journey at www.authorcarriecox.com and on Twitter @wonderwegian. Ha! Joanne I should have read your comment first! Just suggested Marcelo myself! Adding to my list. Thanks! Great choices! Anything but Typical is one I would suggest for all middle school staff. And I know these two are Asperger’s but I’d like to add Marcelo in the Real World by Francisco X Stork and Mindblind by Jennifer Roy. Two–awesome! Thank you for the imput. I read Mindblind, too, and would recommend it. I’m really excited that this list contains a few titles I was previously unfamiliar with. 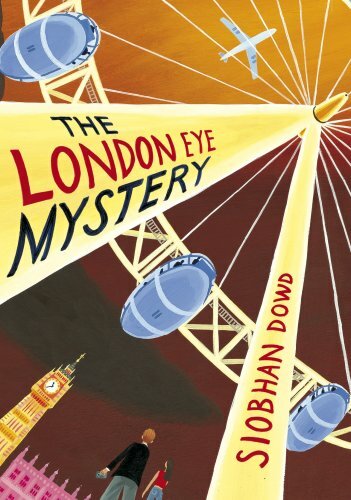 The London Eye Mystery and Mockingbird are going on my TBR list! Great post, Carrie! This subject is also near and dear to me also. I haven’t read all of these books, so thank you for this! Sometimes you can “read” for autism in books that may feature it but not name it, for various reasons and effects. Others that might be added to this list: anything in the “Origami Yoda” series by Tom Angleberger. There’s a new novel just out that I haven’t read, Colin Fisher by Ashley Edward Miller and Zach Stentz.Thanks! Thanks for adding to the list. And we can include NAVIGATING EARLY by Clare Vanderpool for a unlabeled Asperger’s character–released a few days ago. I expected to see Jacqueline Houtmann’s THE REINVENTION OF EDISON THOMAS on this list- although she made it a point not to “label” Eddy in any way. He’s become a much loved character in MG novels even though he’s only been in the published world for a few years. Take a look! Thank you Carrie! More people need to understand what it is like for families for whom Autism is their daily reality. My nephew has Autism and my sister is an inspiration! Thank you for reading. All the best to you and your family. I just ordered “Collin Fischer”, which sounds vaguely similar to “The Curious Incident”. Thanks for the list; I look forward to reading through it. I’ve added that to my list, too. Nerdy Book Clubbers rock! 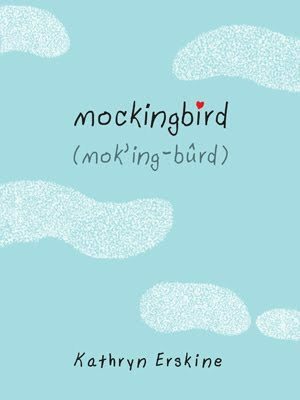 What a terrific list of books…you reminded me of how much I enjoyed Mockingbird. Thank you! This is a great list! 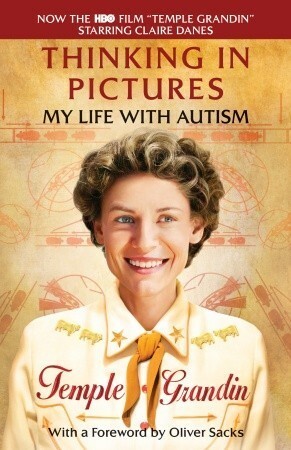 I would add Sy Montgomery’s recent biography of Temple Grandin (a great book to go along with the Claire Danes movie!) and Emma Jean Lazarus Fell Out of a Tree by Lauren Tarshis (though Emma Jean is not named as having an ASD). I have also heard really good things about Harmonic Feedback by Tara Kelly (though I haven’t read that one myself). Just finished COLIN FISCHER. A quick read and an interesting kid. Lots of humor. Will be interested to hear what others think. I did not read your post yesterday and I wish I had. I am the mother of an amazing 6 year old boy with autism (and a 4th grade teacher). I could add the following books for teens: Running on Dreams by Herb Heiman and In His Shoes by Joanna L. Keating Velasco. 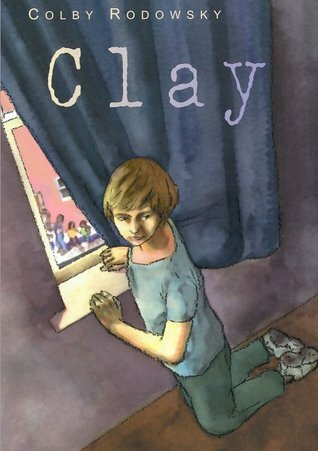 The following for middle grades: Knowing Joseph by Judith Mammay, Jay Grows an Alien by Caroline Anne Levine, Ann Drew Jackson and Jackson Whole Wyoming both by Joan Clark. Thank you for your post! Happy to share. All the best with your son. My #ASD boy is now 14. The days seem long when they are younger, but it goes by so quick in the long run. Definitely take a look at the YA novel Mindblind. It’s fantastic! 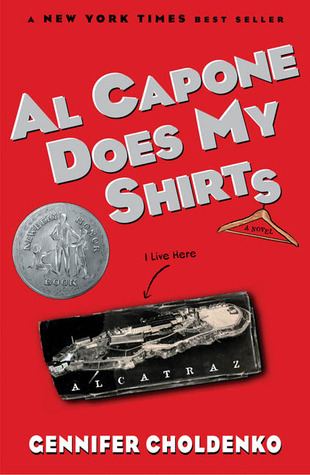 ….And students really like and relate to the narrative voice and “no filter” in this book. COLIN FISCHER by Ashley Edward Miller & Zack Stentz is a middle grade fiction mystery–for me it was ENCYCLOPEDIA BROWN meets HARRIET THE SPY. What I love most about it is that Colin is not treated as “special” by the narrator. Instead, his spectrum issues are described as a side note, just another way of seeing and being in the world. That it wasn’t a book about Asperger’s and was instead a story about a boy who solves a mystery, and the boy happens to have Asperger’s, made it stronger. The bullying issue and the idea that education about spectrum disorders can change how other students see him is in the background. That said, the book does a great job of showing how Colin and his family adapt to his differences, including being touched and his inability to read facial expressions without assistance. Me too! Thanks, Jen, for the synopsis of Colin Fisher! You guys are great. So the real question in my mind is whether these books are useful to build compassion and understanding in the other kids around them? Yes, I fully believe these books would help with understanding and compassion for those around individuals that are different that them–that’s why I created this list for Nerdy Book Club. 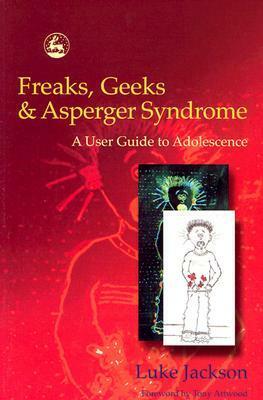 If your sons are ten or older, I highly suggest Freaks, Geeks & Asperger’s Syndrome: A User’s Guide to Adolescence by Luke Jackson. The formating is easy to read–perfect for reluctant readers–and the author’s voice is funny and engaging. Out of all the books listed, that one would be the most useful to tweens on the spectrum. And it could be a gateway book, if they like what they read. My son is also not interested in books “about” autism, but he likes action books and if the characters are on the spectrum, who cares? So he liked the Al Capone books and the London Eye book, and he’s racing through Sarah Rees Brennan’s books (which aren’t about autism at all, but definitely has a character who processes stuff differently). I love your list! Would you mind if I printed it and shared with a few librarians that I am giving a presentation about autism to? I would of course include your name and web address giving you the credit! I recommend the novel “Fortune on the Spectrum”. The main character is on the autism spectrum and has a life of adventure. Thanks, I’ll look that one up. Hi! Great list! I would really recommend Dasha’s Journal by T.O. Daria. Written from the perspective of a cat, Dasha, who was adopted into a family with an autistic child, she captivates the audience by offering an insightful view into issues with autism and gives a great explanation for those who are still getting accustomed to it! It’s a fantastic read, and has some real laugh-out-loud moments! One of the best on the subject I’d say! And a definite plus if you are also a cat person! Thanks for sharing another recommendation. I love that this list continues to grow. Hello, my name is Matthew Gene Claybrook, and I am an author. 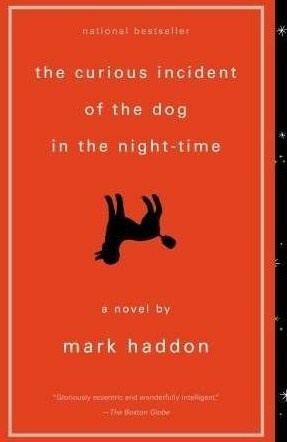 I noticed some of the writers here have posted about books exploring Asperger’s syndrome. I have a new book called “Mabby the Squirrel’s Guide to Flying.” It is a Young Adult Fantasy that explores the subject of Asperger’s Syndrome through the metaphor of a flying squirrel, Mabby, whose wings are a little different than others’ so he has to learn to fly differently. It explores family life, parenting, personal and social problems that tend to accompany the condition, as well as the overarching narratives in western thinking and education that result in our misconception and mistreatment of neuroatypicality. If you like, I would love it if you would give the book a look. If you like what you see I would love to be able to link up with you guys, because I am building a series based on this story. Here is the link and my web page. Thank you very much for your time, I love what you are doing here. Have a wonderful day. Please feel free to contact me if you have any further questions about the book. my email is sanguinecross1@gmail.com. Thanks!